The Fourth Edition release of Space Hulk has surprised a lot of people, including me. "Wait, isn't this the same version as the 2009 release? Oh, there are four more missions in there, and it's more expensive...". This made me think: what does limited edition really mean? Well, as a consumer, I'd say nothing. It might seem that smaller companies and indie studios benefit from limited releases (more on that later), but in what way does a behemoth like GW benefit from this? Maybe they want to limit the risk when releasing a stand-alone game like that, but on the other shouldn't this game be that good to earn a permanent spot in stores everywhere? Another question I ask myself is: is this fair towards your customers? Call something limited and then releasing the same product again later on, with only small alterations? I'll give you another example further on. On the other hand one can say that everything is limited. Everything will go out of production at some point. Take for example the GW starter sets (like Dark Vengeance for 40k). Of course they are bound to a version of the game, but the models in there will not be produced any more when a new version comes out. So why aren't they marked as limited edition? You could say, this is made to get people into the game. Well doesn't the same thing count for Space Hulk? Imagine buying a third edition set for twice the normal price last week :) But of course this isn't GW's problem. I already mentioned indie manufacturers and smaller companies. They often offer limited edition miniatures as well, but this is indeed to minimize the risk, simply because they want to invest one time in the creation of a sculpt, master and mold. Molds wear out over time, so that's usually related to the number of miniatures which will eventually be cast. I mentioned a second example. Remember The Barbarian Dude by Raining Frog Studios? 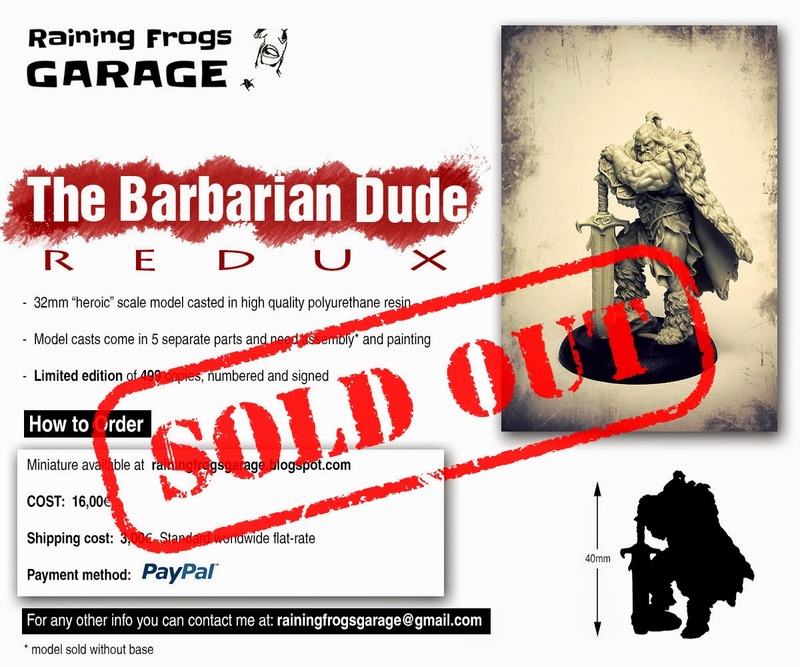 It took the miniature community by storm and sold out in a very short amount of time. But what happens a few months later? A slightly altered version is offered, again in limited quantities. It looks a bit similar to what happened to Space Hulk but on the other hand I can understand this a lot better since it's probably just a guy who ordered a sculpt to be cast and selling it from his garage (hence the name of the company :). Can you blame him? No. Is it fair towards people? Maybe. 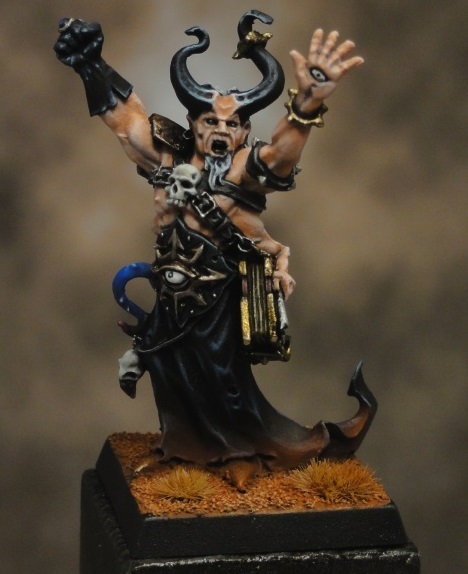 Should a fantastic miniature like this be available in larger quantities? Absolutely! 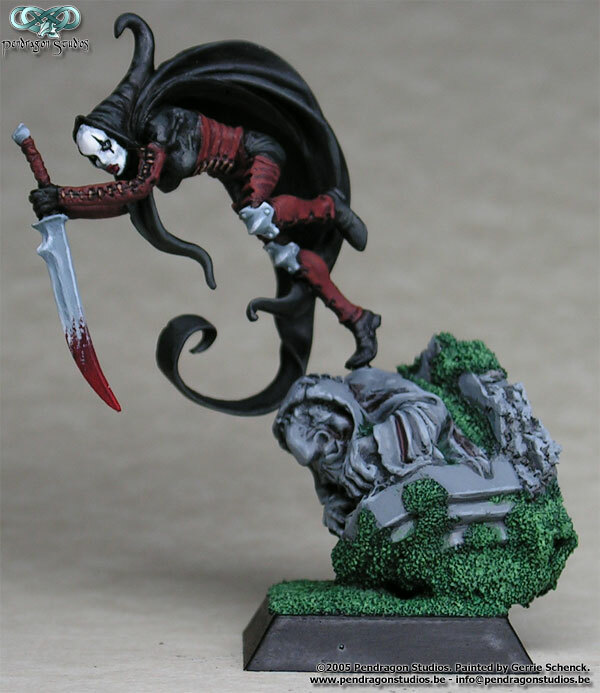 Shanys L'Ombre by Rackham, my 2005 version. Phidias De Basarac by Rackham, painted in 2003. Another good example are the Games Day exclusive figures, some very good sculpts among those as well. The Games Day 2010 exclusive figure, painted one year later. That's all for this opinion article. I would really like to hear your thoughts on this subject, so please put them in the comments! I think you're absolutely right that GW's Space Hulk should be good enough to stand alone as a regular product. I always thought it was quite odd that a plastic set like that, with a large initial investment on moldings would be a limited run. With that in mind it doesn't surprise me at all that its back. GW probably thinks there's a limited market for the product that develops every 5 years or so. My guess is we wont see the last of this game. Now if they would only re-release necromunda. It's a sales boost for GW... people will get worried that it'll be gone and buy it without thinking about the price tag too much. I can understand why they do it for their stand alone games. Limited doesn't mean it will sell a lot. Look at dreadfleet... Putting the tag: limited edition works like a charm in this collecting industry. Who's the dummy, the company using that tag, or the client rushing to the shop to get theirs. 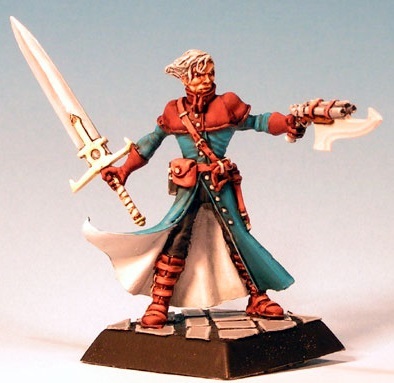 Mithril Miniatures sells most of their miniatures as limited models. The moulds are destroyd once a certain number is made (mostly around 150).